Rainhill is a large village in the borough of St Helens, in Merseyside. Historically it was a part of Lancashire, Rainhill was formerly a township within the ecclesiastical parish of Prescot, and hundred of West Derby. Following the Local Government Act 1894, it became part of the Whiston Rural District. Rainhill has been recorded since Norman times but its name is believed to come from the Old English personal name of Regna or Regan. It is thought that around the time of the Domesday Book that Rainhill was a part of one of the townships within the “Widnes fee”.Recordings have shown that in the year of 1246, Roger of Rainhill died and the township was divided into two halves for each of his daughters. One half was centred on the now standing Rainhill Manor Public House, see Rainhill Stoops below, and the other centred on Rainhill Hall, just off Blundell’s Lane. Towards the end of the 18th century, four Catholic sons of a farmer, who came from the area around Stonyhurst, decided to seek their fortunes in Liverpool. The names of the brothers were Joseph, Francis, Peter and Bartholomew Bretherton. In 1800, Bartholomew decided to break into the coaching business. The partnership that he had with one or two of his brothers quickly built up and by 1820, he had the bulk of the coaching trade of Liverpool. He was running Coaches to and from Manchester fourteen times a day from Saracen’s Head in Dale Street, Liverpool. Bartholomew chose Rainhill as his first stage and he developed facilities on the Land alongside the Ship Inn (originally the New Inn by Henry Parr 1780) and on this site he was believed to be stabling at least 240 horses, coach horses, farriers, coach builders and veterinaries. Bartholomew had begun to purchase land in Rainhill, and in 1824, he bought the Manor of Rainhill from Dr James Gerrard of Liverpool. By 1830, he owned over 260 acres (1.1 km2) around Rainhill. In 1824, across the road from the stables, he built Rainhill House and laid out beautiful gardens around it. Today, this house is known as Loyola Hall, and has served as a retreat run by the Society of Jesus since 1923. 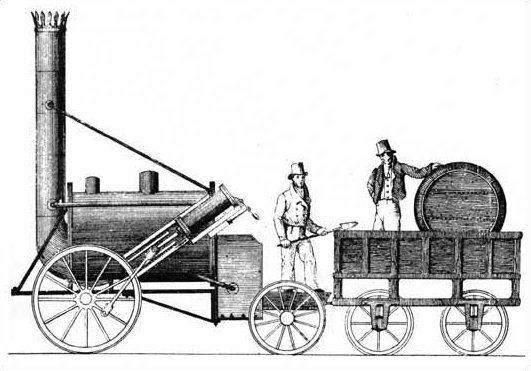 Rainhill was the site of the 1829 Rainhill Trials, in which a number of railway locomotives were entered in a competition to decide a suitable design for use on the new Liverpool and Manchester Railway. 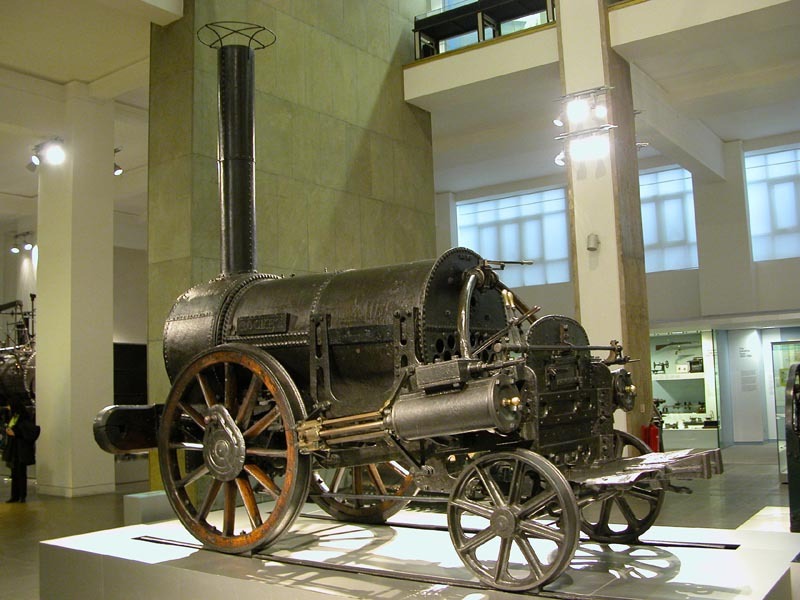 The winner was The Rocket, designed by George Stephenson. In 1979 the 150th anniversary of the trials was celebrated by a cavalcade of trains through the ages, including replicas of the winner and runner-up in the trials. During the Victorian Period, Rainhill was the location of a notorious mass murderer; Frederick Bailey Deeming. In March 1892, the bodies of a woman and her four children were discovered buried under the concrete floor of Dinham Villa, Lawton Road, Rainhill. The series of events that led to this gruesome discovery began with a marriage in St. Ann’s Church, Rainhill. Miss Emily Mather married Deeming, who called himself Albert Williams and posed as an officer in the Army. The couple emigrated to Melborne, Australia, where Deeming murdered his wife and buried her under the floor of their kitchen. The Victoria Police contacted Scotland Yard, who, as a result of information passed onto them, made a search of Dinham Villa, home of Deeming’s supposed sister and her four children. Marie Deeming, however, was his first wife. Her throat had been cut, as had the throats of three of the children. The fourth was strangled. Deeming was convicted of the murder of Emily Mather and hanged in Melbourne, Australia. After being up for sale and later set on fire, Dinham Villa in Rainhill was eventually demolished in 1892. Small bungalows are now in place of it. The Rainhill victims were interred in the graveyard of St. Ann’s Church. The headstone marking their grave was stolen and the grave has since remained unmarked. 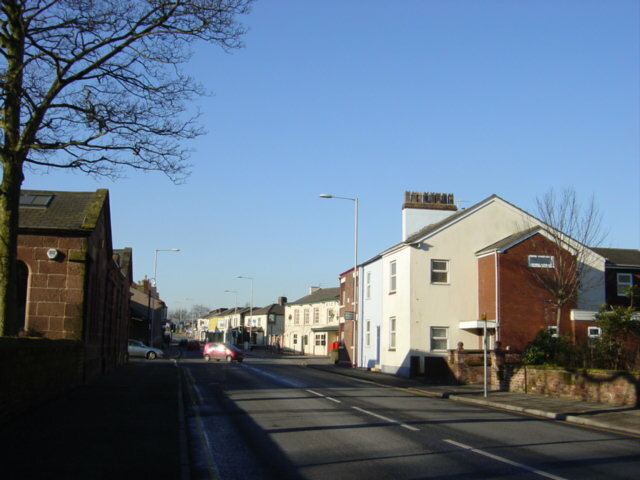 Rainhill today has a population of approximately 12,000 and classed as a large village. Offering 4 primary schools, a Media Arts College High School – as well as independent school to 3-16 year olds, Rainhill is a sought after place to live. Along with Rainhill WI, it has a wide variety of community groups and clubs, whether your interests lie in sports, Scouting/Guiding, amateur dramatics/dance, cookery, arts & crafts and much more. With a good selection of local pubs and a variety of restaurants, Rainhill is a very popular night out for many a celebration!